Why is Blacklist Repair Important for Your Business? Almost every day thousands of websites are becoming victims of cybercriminals. Hackers are constantly developing more sophisticated ways to carry out their criminal activities. For instance, these online criminals secretly place on the page a malicious code capable of recording keystrokes by users in order to steal their credentials or seize details about financial transactions, banking data etc. Basically, taking away all your sensitive and confidential data stored on a website. Malicious software can be so smartly hidden on the website that even experienced developers will have great difficulty in finding it, not to mention ordinary users who own websites. 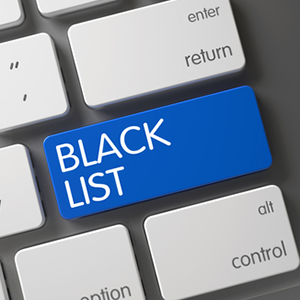 Several companies have developed and maintained blacklists for different purposes and most of them do focus on blocking spam in email systems. Google regularly checks billions of websites and also warns visitors of dangerous resources in order to prevent theft of confidential data and also prevent malicious software from infecting a user’s device. As website users, we would indeed be shocked to know that our website has been blacklisted by Google. Hence, maintaining the reputation and integrity of your website is indeed a huge responsibility. When talking about safeguarding their users, blacklisting authorities do have the same attitude. They are responsible for quickly flagging your website if they come across evidence that could probably infect visitors, including phishing schemes, Trojan horses, executable files etc. The sad part is that website owners mostly fail to understand that they have actually been hacked and when they really do, it is indeed too late as they would have lost most of their sensitive data. Google tries to flag sites with spammy incoming links because several online businesses, or even businesses that work with vague SEO companies, clutter the internet with incoming links just to convince the search engines that tons of websites are linking in. Even though most companies do not follow this, always remember that Google still tracks how many keywords are packed into your content, placed in your metadata, and stuffed into your headers. If you are using WordPress site, ensure to always keep your themes, plugins and WordPress versions updated. This is essential because non-updated installations will leave security holes that hackers can prey on. You can also install handy security plugins capable of performing daily scans, blocking attacks, and backing up your files. Poor or irrelevant content can hurt your users and it prompts the search engines to block your website. One easy way to evade this is to produce content that is completely original, and this indeed will impress your visitors. Remember that your external links are as important to you as the links coming into your website. With this being the case, Google will go ahead and block your website or even flag to drop down in the search rankings if it notices that most of your links lead to poor-quality websites. Malicious hackers and automated bots mainly aim at infecting websites with malicious computer code. To protect web surfers, security companies, browser manufacturers, and search engines prevent users from visiting compromised websites. Websites get blacklisted for several reasons, some of which arise from the fact that websites that get hacked are mostly used for launching spam and phishing campaigns and also to send emails to Internet users who try to convince them to visit a fake banking site, buy pharmaceutical drugs or perform other such similar tasks.